Do I really need inventory management or LIMS software? Isn't that big and expensive? My spreadsheet does the job, doesn't it? Well, if you've ever said 'yes' to any of the points below, it is time to reconsider! 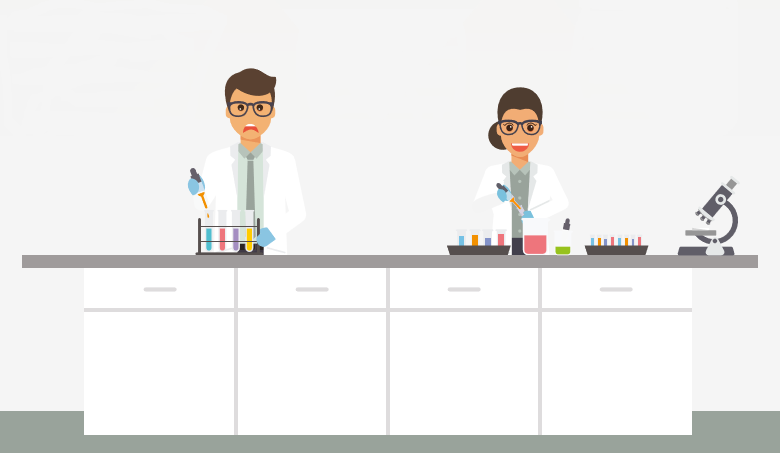 Here Titian’s application experts share their lab experiences and top tips for when lab & inventory management software could really save you time and money. 1. Is finding freezer space a problem? Do you have a freezer that is full – but you’re not sure what’s in it and it is too time-consuming to go through it all? Or that constant use means many of your racks are now partly empty, but you don’t want to consolidate the samples into fewer racks as you fear you’ll lose track of things? If it’s quicker to buy a new freezer than to sort out the contents, then inventory management software will save you money. It will allow you to easily free up space in your freezer by consolidating a collection of tubes into fewer racks. When it is as easy as scanning a consolidated rack to update your inventory tracking system, then put the rack back in the freezer, you’ll soon find you won’t need as many freezers. 2. Do samples get lost? Do you ever find that you look up a sample on your spreadsheet or lab notebook, then you go to find it and it’s missing? Samples are part of an organisation’s intellectual property and precious. However, processes are not always perfect, sometimes they are ignored, and accidents do happen. Manual stores rely on users saying they picked a sample. Is it easier to go straight to the sample, than going into a spreadsheet first and then updating it? If a freezer breaks down and you have to move samples quickly to a temporary freezer. How easy is it to reflect that you’ve made that move? Can you find out whose samples they were and tell them? A good sample management system is designed to easily record information about each sample and its history, including who owns it and who last used it. It will make it easy to search your inventory and find samples based on a wide variety of criteria. And it will be easy to update when samples are moved to new locations. 3. Have you ever had to throw material away because you don’t know what it is? Can you pick up a tube or container and quickly and unambiguously identify its contents and what happened to it? If you can’t, that’s a signal you need a better tracking system. Knowing the number of freeze-thaw cycles or the expiry date can be as important as knowing the volume or when the sample was created. 4. When you drop a rack of tubes, is it difficult to know where they should go? It sounds very simple but many, many labs have suffered this pain! If dropping a rack means you no longer know which sample is in which location, then you have a problem. In a real example, a rack of cell lines was dropped and the contents had to be hurriedly replaced and returned unsorted to the freezer. The rack contents then had to be painstakingly sorted over time – in short instalments to avoid thawing. Now, if you have a scanner integrated with your inventory software, a quick barcode scan would update the inventory with the new tube locations and the rack can be put back. 5. Do you have limits on how long you can hold samples for? Does your organisation have a legal agreement on how long you can hold certain samples for? Or do you need to track the age of reagents because there may be a loss of sample viability/activity over time and expired reagents cannot be used for a validated assay? Perhaps you have to follow requirements for GLP compliance and may be audited? In such cases, it is essential to be able to track expiry dates and find expired samples quickly and easily. Good inventory tracking software will allow you to monitor expiry and revalidation dates. It will also allow you to put expiry warnings against samples or even restrict access to them if needed. And proving that you have disposed of samples to meet legal obligations is easy when you have an audit trail. 6. Is it a struggle to access your inventory information? Is the master spreadsheet stored somewhere that’s hard to find, or restricted to only a few people to prevent errors creeping in? What happens when key people are away? Good inventory management software provides a searchable interface that is widely available via intranets or the Cloud. This allows many users, across many locations, to search the sample database and keep their sample records up to date. 7. Are you trying to squeeze too much onto your labels? Are you struggling to read smudged pen notes on tubes? Are you using human readable barcodes or custom barcode names to explain what is in a plate? Are you trying to cram a lot of metadata on the side of your tube? If you are, it’s because you need a quick way of linking your sample ID and the sample data – in other words: a good sample tracking system. Just knowing where your samples are isn’t enough. Barcoding is accurate and error-proof and means inventory software can quickly and easily access all the data about the sample including: the volume remaining, the date it was made, the concentration, who made it, when it expires, and so on. A good inventory tracking system also makes it easy to label labware clearly, allowing you to define your own label information, and automate label printing. 8. Have you found yourself duplicating samples or reagents? Finding stock can be tricky, especially on dispersed sites or across different groups. For example, one company reported that they had seen cases of people purchasing duplicates of expensive reagents that had to be specially synthesised, only to later discover that a lab along the corridor had some and would have been quite happy to send them over. A good inventory management system will make the inventory contents visible for searching, and optionally placing requests, while restricting access to samples that need it. Web-based access, including Cloud, means that many users across many locations can search the sample database and share resources cost-effectively. 9. Do you need to monitor sample stocks or provide reports on sample usage? 10. Are you using liquid handlers or automated storage? Those are our 10 signs. Did any of them seem familiar? If you answered ‘yes’ to any of the questions above, it is time to review your inventory management! Since 1999, Titian have been exposed to every sample management challenge faced by pharma and biotech and, working together, we have provided trusted solutions that integrate widely with other equipment and software vendors. – There is a better way to manage your samples! Marcus Oxer worked for GlaxoSmithKline for 23 years, originally as a scientist working in molecular biology, later transitioning to bioinformatics and then R&D IT. He joined Titian Software in 2012 where he specialises in addressing the challenges of biological sample management.